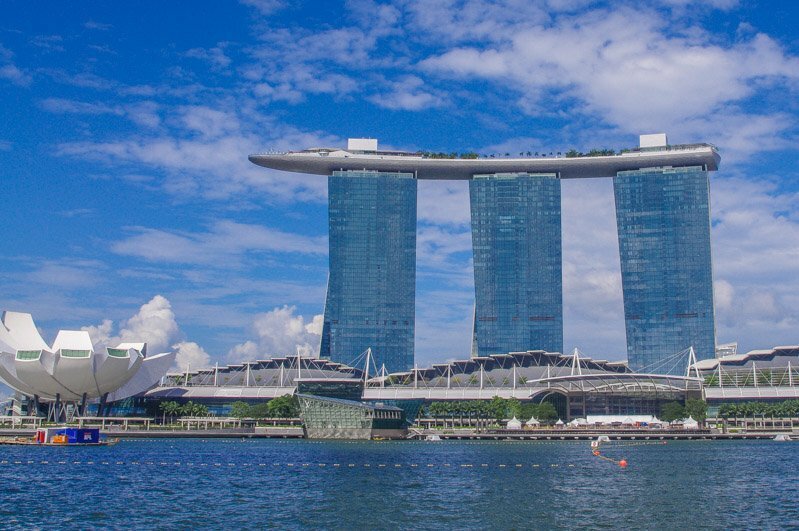 Welcome to the world’s most expensive city, Singapore – where pints cost over a tenner. So what’s the fuss? 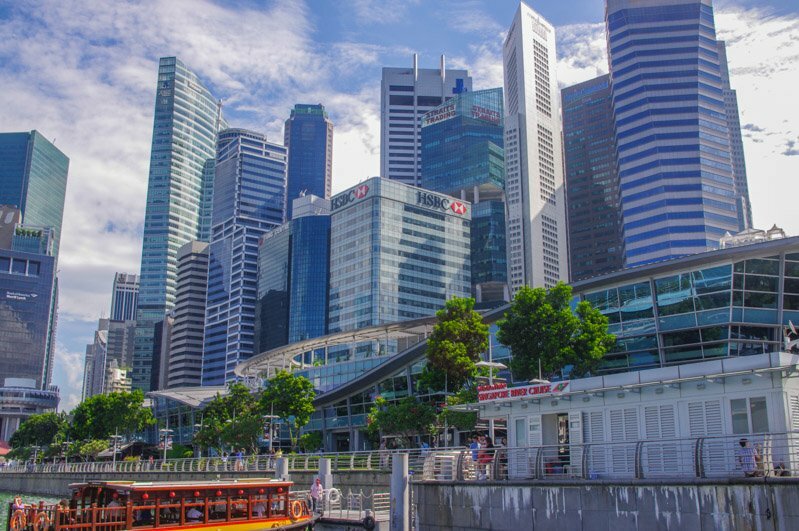 If you like your cities clean with lots to look at then Singapore is right up your litter-free street. 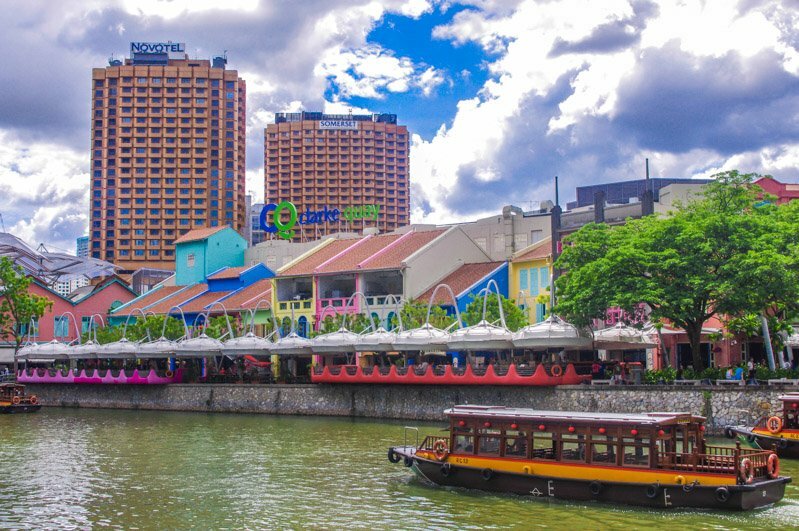 There is a plethora of things to do in Singapore from rides at Universal Studios by day to cocktails at dusk at one of Singapore’s high rise bars where live music plays as the night settles. Then it is time for Singapore’s light show which explodes over Marina Bay. Don’t forget to crack your nuts at Raffles over a Singapore Sling. Singapore uses the Singapore dollar (SGD $). For best rates see here. ATMs are widely available. Most credit cards are accepted. Tipping in Singapore is not essential (apart from hotel porters). Save money by eating at hawkers centres where large plates cost under £3/ S$5. Accommodation is expensive as to be expected but there are 2 star rated Singapore hotels starting at $35 USD, this goes up to $200+ per night. Hostels in Singapore are cheaper, dorms start at under £8 / $9. Airbnb is available in Singapore and entire homes average at £112 / $138 but do go as low as £35 / $43. New to Airbnb? We love it! Feel free to use our referral sign-up, you’ll get discount and we’ll get credit. Thanks for helping us to continue to travel. I really like the look of this capsule hostel, privacy if you want it. So how does one pack all their best gear to fit in? Check out this video on packing cubes! CAN YOU KEEP UP THE PACE?